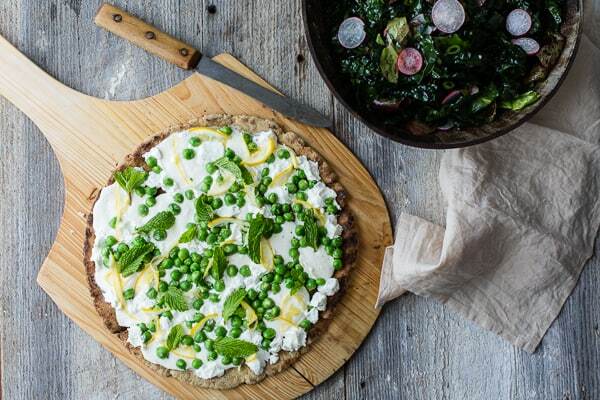 Your guide to thin and crisp grilled gluten-free pizza crust (whole grain + gum-free) and a springy topping of fresh peas, meyer lemon, goat cheese and mint. It’s like I blinked and suddenly it’s summer. At the co-op, I’m shocked to see buckets of peaches, nectarines, zucchini, cherries, and even corn. Corn! In May! Where did spring go? My niece is through with her first year of college. My sister’s planning a birthday camping trip to Big Sur. And San Francisco is finally cooling down, a sure sign that summer’s on its way along with Karl the Fog. 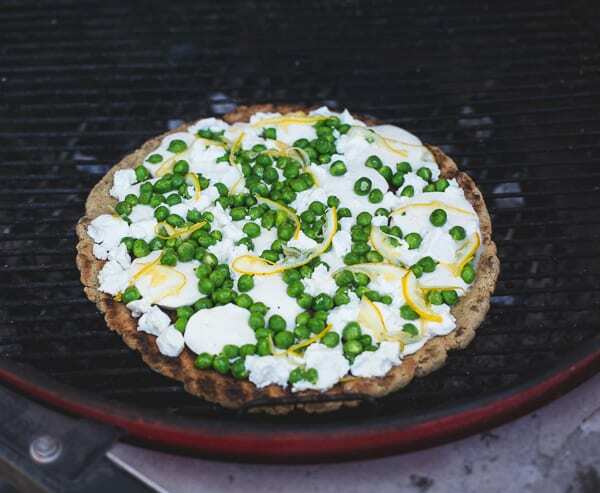 My friend and neighbor Kimberley has a long-standing summer tradition of grilling pizza on her patio, a ritual she gave up when she went gluten-free several years ago. When we met last spring, we hatched a plan to resurrect the tradition. Despite the fact that we live 5 blocks away from each other we finally made it happen a year later. I brought over some dough and toppings, Kimberley whipped up something delicious (coming soon to her blog!) and grilled some asparagus. Our friend Emma joined us from Napa with copious bottles of wine, radishes, snap peas, meyer lemons and kale from her garden, and her camera. We made a salad with Kimberley and Emma’s garden offerings, cracked a bottle of wine, and had a feast. In true SF style, there was an icy gale blowing on the patio. It kicked up the coals, blowing sparks on our toes, and we huddled around the grill trying to shield our lenses from the onslaught, snapping a few shots when we had the chance. With our SF pallors we were too afraid to sit in the sun, but wesettled into the soft carpeting and made a picnic on Kimberley’s studio coffee table. It was a pretty classic San Francisco summer day. Shooting in Kimberley’s space was a dream come true for me. That gal is my food photography idol and her studio is a panoply of handmade ceramics, barnwood, and glorious light. Heaven. Emma captured tons of beautiful moments with her impeccable eye, all of which you can see on her fabulous blog. As for the pizza, the grill does wonders for my favorite gluten-free dough. We were too chicken to throw the raw dough on there, fearing it would break apart and fall through the cracks, so we took a tip from Fine Cooking and parbaked it first. 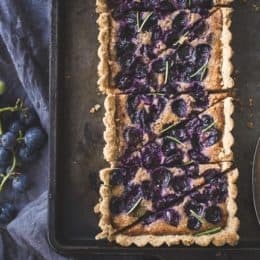 This makes the crust firm enough to slide on and off the grill as needed, and it helps the center of the dough cook through. The grill adds an addictive smokiness to the crust, and the hot coals act like a pizza oven, making it super crisp and bronzed. 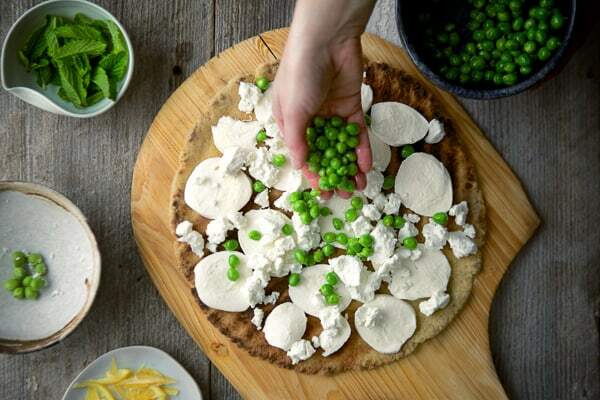 As for the toppings, mozzarella and goat cheese hold the peas in place. 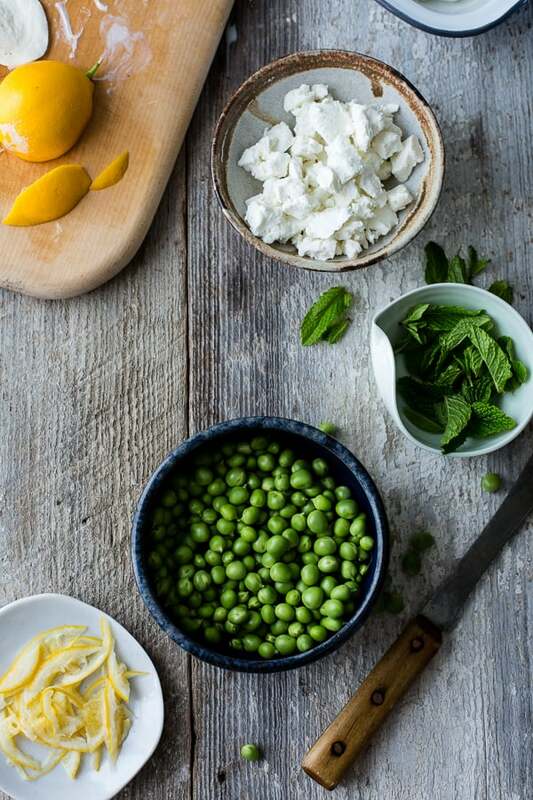 Thinly sliced meyer lemon adds tang, and mint is a classic with peas for a reason. 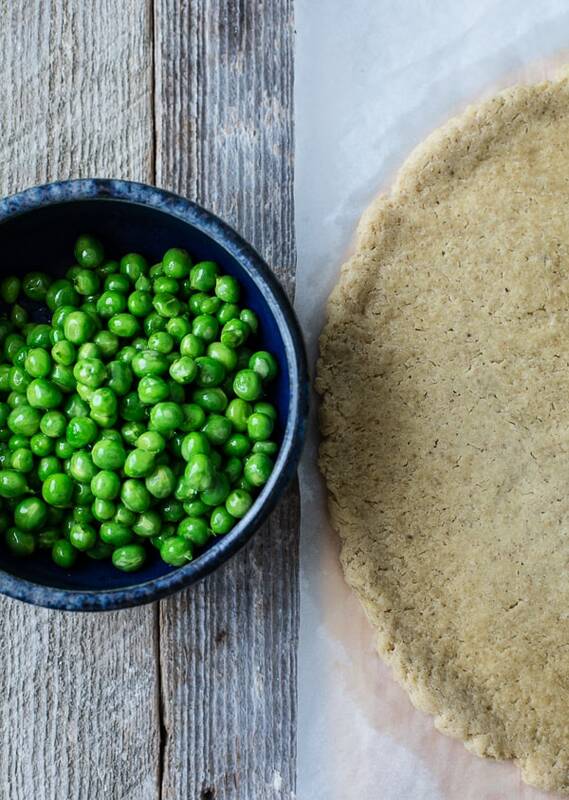 The mild flavors let the peas star, and the crust holds up beautifully even when laden with gooey toppings (better than most wheat-based crusts, I must say). If you give the grilled pizza a go, let me know! Or snap a shot for instagram and tag the_bojon_gourmet – it will make my day. Oh, and if you don’t have a grill, never fear: I’ve given oven instructions in the recipe header. Here’s a version I made at home with ricotta in place of the goat cheese – pretty tasty, too. Wishing everyone out there a fabulous finish to spring. Thanks to Kimberley for the being the grill master and teaching me the ways of grilled pizza. Feel free to play fast and loose with the toppings here. 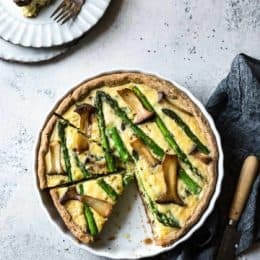 Ricotta can stand in for the chevre, asparagus or favas for the peas, or try this method with summery toppings such as corn and cherry tomatoes. If you’re grill-less, make this pizza in a 500ºF oven on a hot baking stone, parbaking the crust for 3 minutes, adding the toppings, and baking for an additional 5-7 minutes. Make the dough, let it rise, shape, and let rise again as instructed. 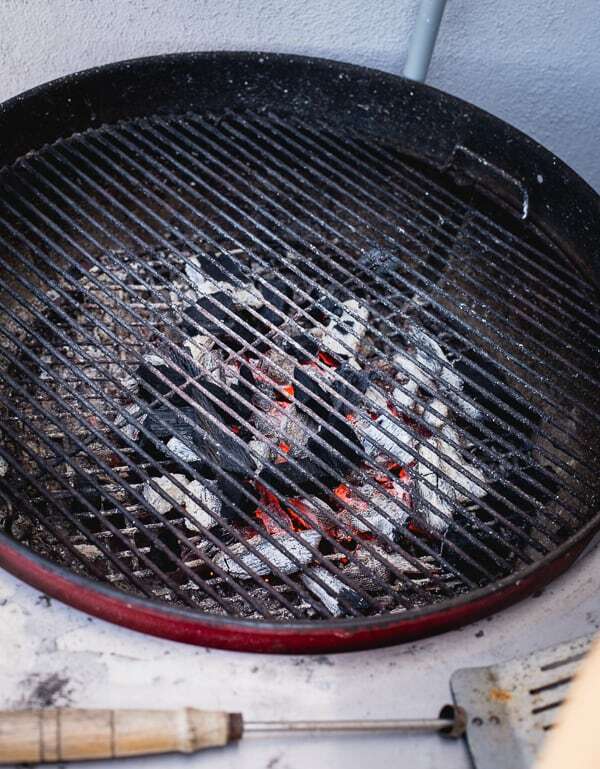 While the dough does the first rise, prepare your ingredients and get your grill situation going; you want some steady, warm coals for this. Position a rack in the center of the oven and preheat to 350ºF. Heat the oil in a skillet over medium heat until it shimmers. Add the peas and cook briefly, shuffling the pan a few times, until they’re bright green and crisp-tender, a minute or two. Remove to a bowl and let cool. Use a wide metal spatula to slide the first crust onto the grill and cook on the first side until deeply bronzed and crisp. This should take about a minute, but peek under the crust occasionally to make sure it doesn’t burn and move it around as needed to brown it evenly. When the first side is cooked, use the spatula to guide it back onto the pizza peel. 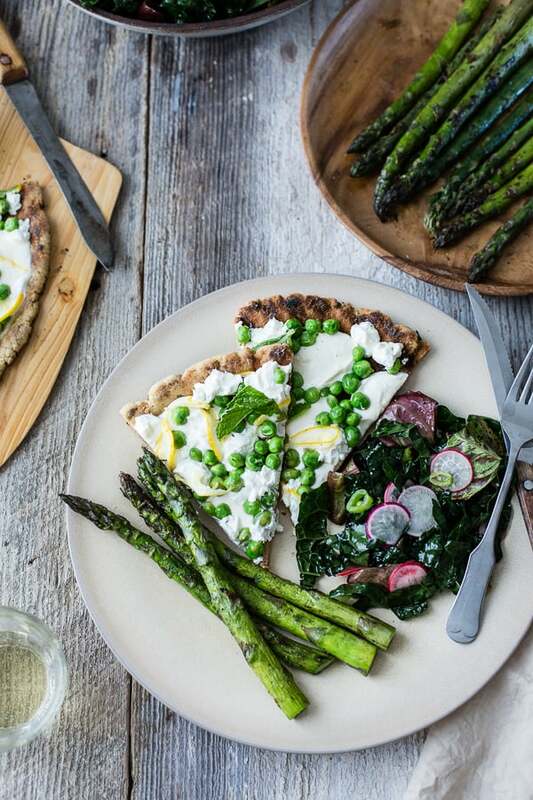 Flip the pizza over, so the grilled side is facing up, and top with half of the mozzarella, goat cheese, cooked peas, and lemon. (Press the peas into the cheese so they won’t roll off in the next step!) Slip the pizza back onto the grill and cover. Cook, peeking under the crust occasionally and moving the pizza around the grill as needed so it cooks evenly, until the toppings are hot and melted, 2-3 minutes. 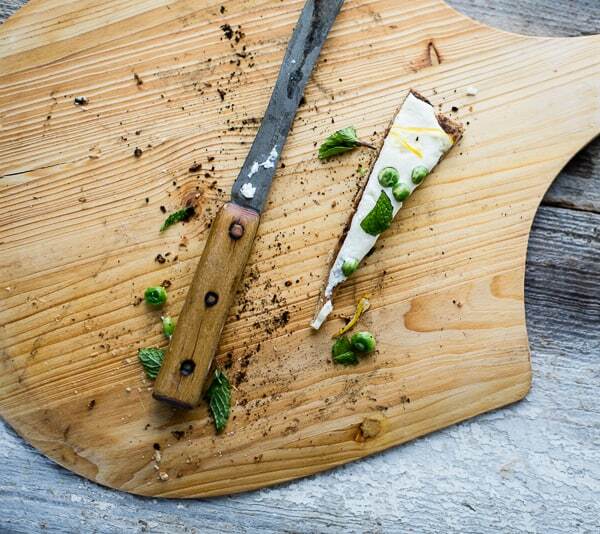 Maneuver the pizza back onto the peel, slide it onto a cutting board, top with half the mint and some flaky salt and pepper, and cut it into wedges. Serve immediately. Repeat the process with the second pizza. Leftovers keep well refrigerated airtight and reheated in a skillet over a low flame. This is beautiful; such fresh bright colours! I'm sure it's totally delicious too. It would be perfect for a spring party. 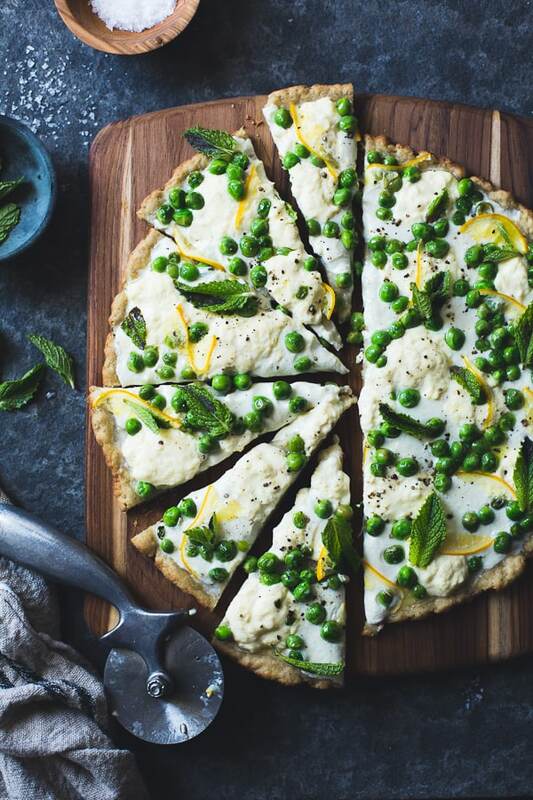 I would have loved to be in the same room with you two shooting this gluten-free pizza!!!! 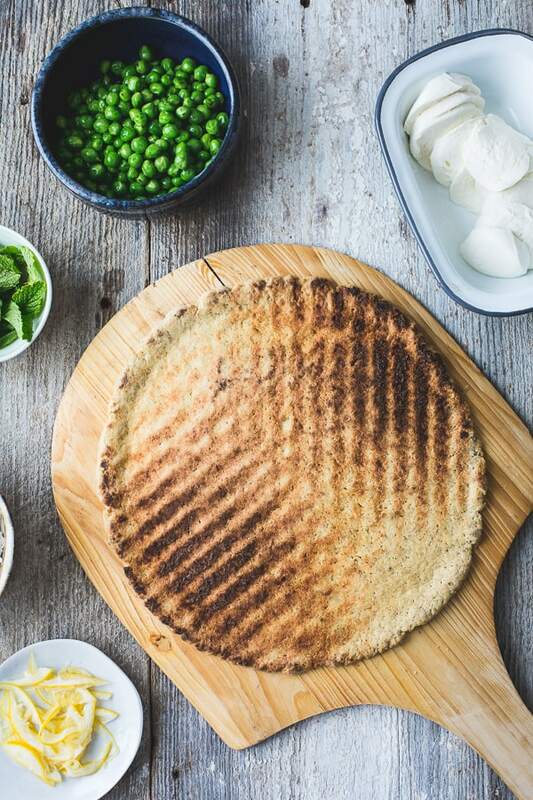 I have never grilled pizza in my life, but after seeing this gorgeous one I want to give it a try. Also, how nice it is that you get to collaborate with other talents like yourself. 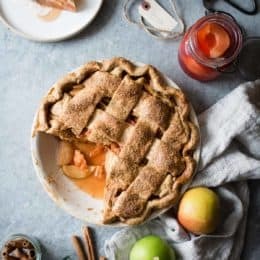 Beautiful and delicious looking photography as usual. Aw, thank you so much Aysegul! Omg, I'm totally drooling over all your gorgeous photos. What a beautiful recipe. 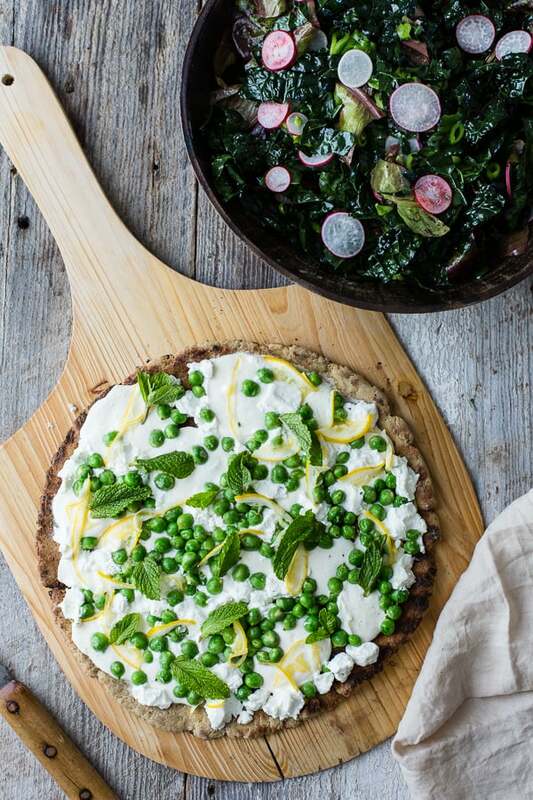 I love the spring ingredients and I LOVE the GF dough that isn't made of cauliflower. This looks so good! I've been really getting into some of your recipes lately since I've recently established a real connection with Mexico. I've been cooking through your polvorones and your stuffed poblano peppers and seriously your recipes are incredible. 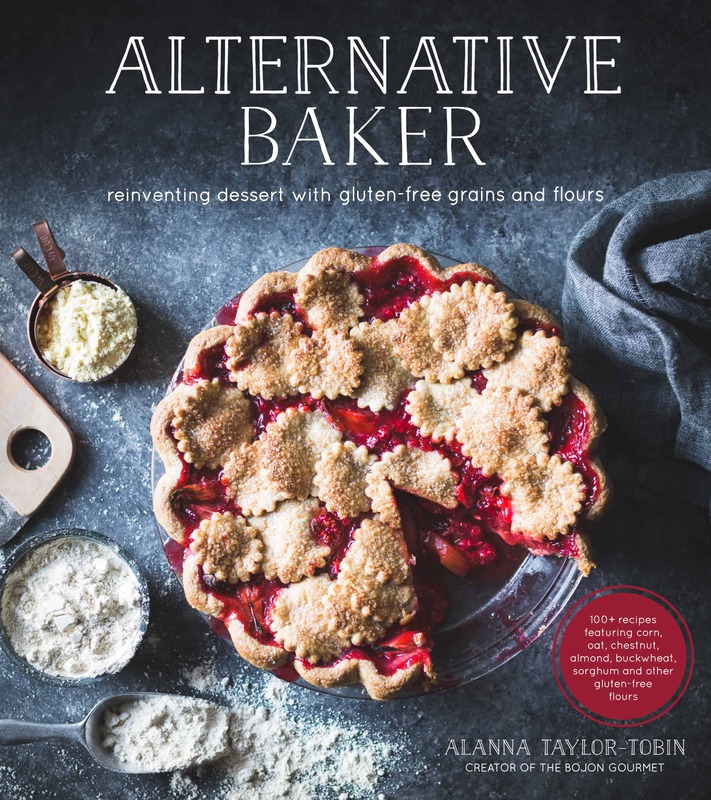 I'm not gluten free or vegan, but I prefer these recipes to some of the more traditional ones just for taste alone. Thanks for consistently putting out good stuff. 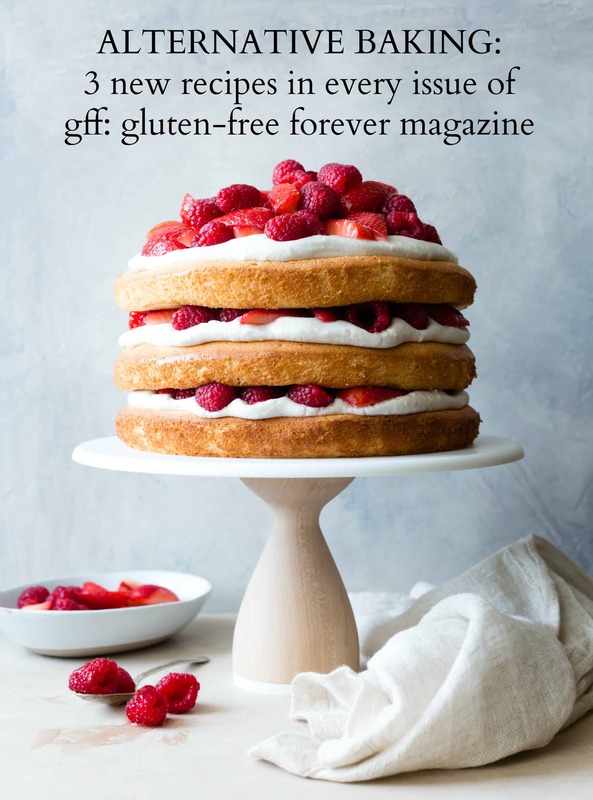 Hi Amanda, your post on the GF polvorones is too sweet! Thanks for reminding me about the stuffed poblanos, I could really go for some of those right now. ;) Thanks a million for reading and for the sweet note. Hmm just commented using anon (for ease of use) but don't see my comment so here it is again. Please delete this one if the original is actually cued up…there's just no message to confirm receipt so is hard to know. I mentioned l loved your pizza wheel because it looks like an all metal one, which it's hard to find nicely designed metal ones one, and two, I try to boycott plastic handled tools of all kinds just because they all just end up in the landfills! Any idea what brand this one is? I don't see it on Amazon, after an admittedly brief look. Thank you! Argh, I think Blogger's having some commenting problems lately. :/ Thanks for the kind words! I think I "borrowed" that pizza wheel from my parents ages ago and have no idea where to find one… you might check Ebay or Etsy, or flea markets. Good luck! 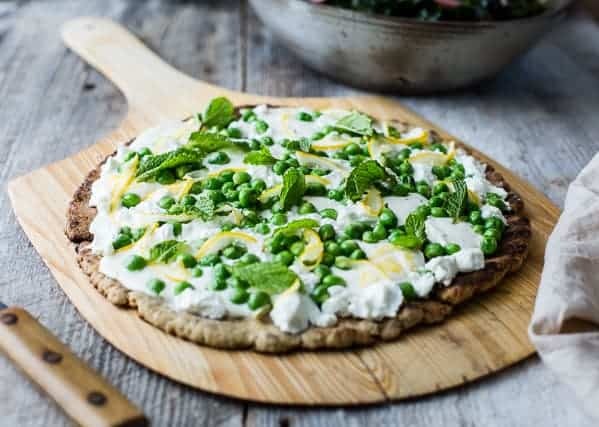 I've been on a grilled pizza kick this week and now I want to keep it going for this pizza – peas with lemon and mint is one of my fave combos! Ooo, what kind did you make?? What do you mean, summer? It's actually raining! (Or it was, anyway.) :) But pizza is delicious no matter what, especially with such great vegetables and herbs on top. I bet that crust is amazing after a stint over some hot coals. I know, I'm so jealous of the South Bay! You're an artist Alanna! What I do not like of your site. 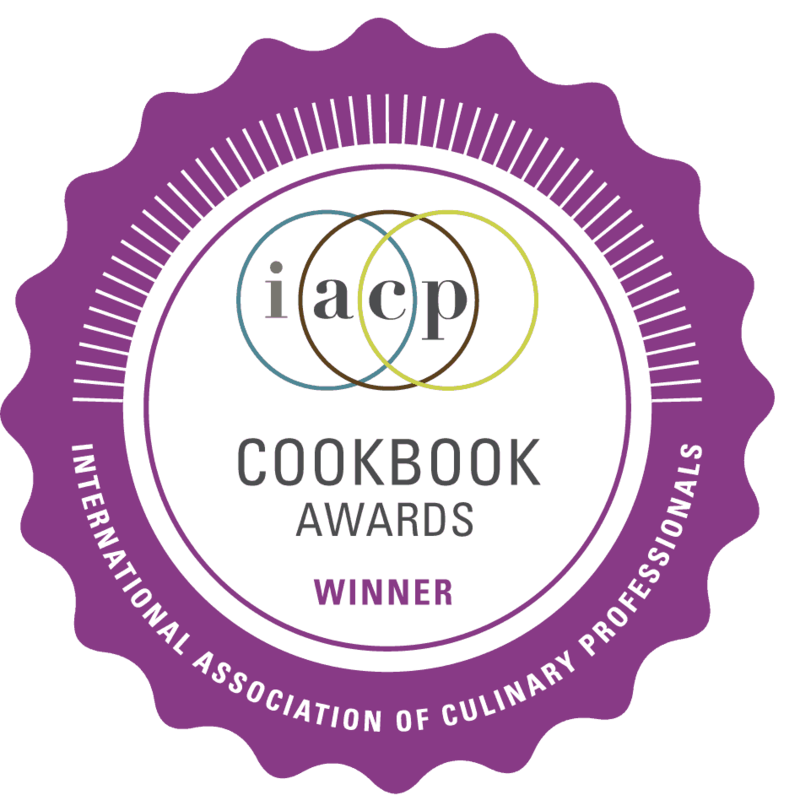 Love you photographs and recipe. I keep seeing these beautiful photos all over instagram – I want it to be summer in Sydney all over again…! Oh my gosh, I love that you and Kimberley are neighbors!! I'm becoming increasingly convinced that the Bay Area cannot possibly hold so much talent all in one place. 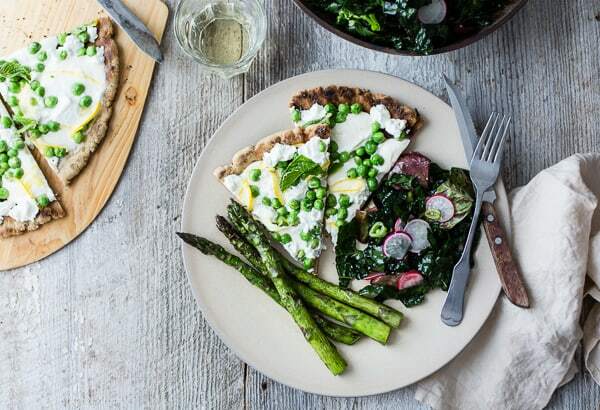 This pizza is drop-dead gorgeous, with the most perfect combo of flavors — love the dreamy photos from your collab and everything else about this! 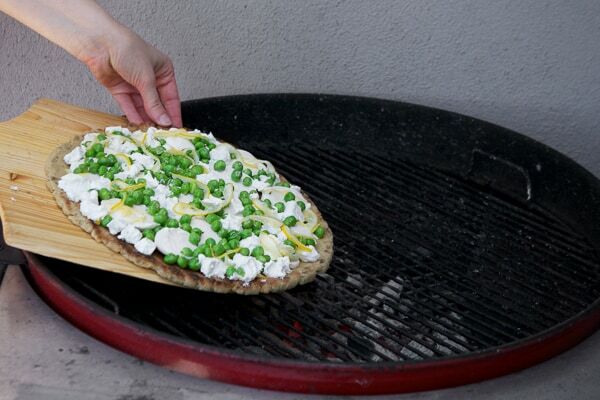 Mmmm…I already want to grill pizza again. Can't go back to JUST baking it!